The Jonathan Foster Murder Trial Just Got Started in Texas! What’s that you say? You don’t know who Jonathan Foster was? 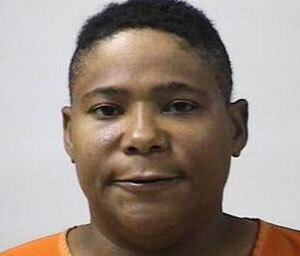 On Christmas Eve Day of 2010, 12 year old Jonathan Foster was kidnapped from his home by Mona Nelson, a 44 year old Black woman. 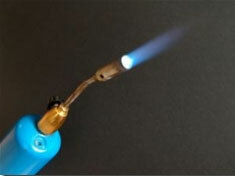 After abducting the child, Nelson, a welder, tied his hands, and then roasted the boy alive with her blow torch. 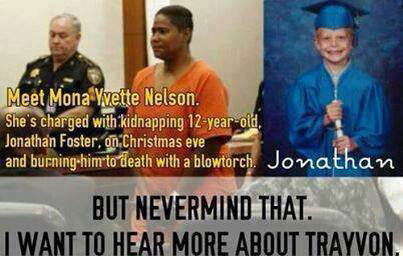 Imagine what went through Jonathan’s mind as he was being burned alive! 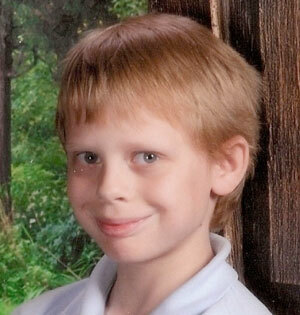 Jonathan’s badly burned body was soon discovered in a roadside ditch in Houston, not far from where he lived. Nelson admits to dumping the container which held the body—she was caught on film—but makes the ridiculous claim that she was given the container by one of Jonathan’s relatives. Police suspect that Jonathan may not have been her only victim. Next question: Do you know who Trayvon Martin and George Zimmerman are? 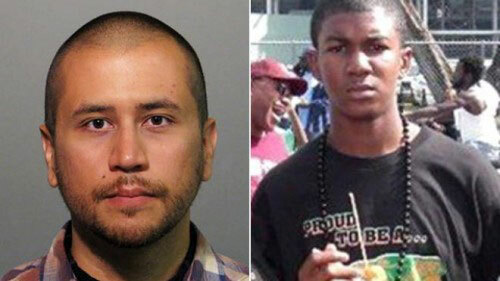 Everybody in America knows about Thug Martin and George Zimmerman! It doesn’t take a Sherlock Holmes to clearly see that there is a double standard aimed at White folks. The question my dear Mr. Watson, is, WHY does this horrible double standard exist? And most importantly, TO WHAT END? The “War on Whites” serves the interests of the THE NEW WORLD ORDER! Can you handle the truth? Are you ready to take the next step? Where is the uproar over this "hate crime?" Why have you not heard about this trial in main stream media? We challenge you to open the final door, to “get smart,” and solve this mystery.